Men and sports are in separable, because men naturally love sports, most men you could say eat, breath and live sports. So what do men do when they are not watching or playing sports? Well... the answer is quite simple, they read about sports. Sports magazines are a popular way to kill time, they provide sports enthusiast with sports stats, scores, insight etc. However, there are more than a few successful sports magazines out there. Two of the most popular sports magazines are Sports Illustrated and ESPN magazine. Each magazine has it's pros and cons and it's own fan following. Sports Illustrated is an American sports magazine owned by Time Warner. Sports Illustrated has approximately 3 million subscribers and is read by 23 million fans every week. ESPN magazine is owned by the Walt Disney Company and is issued every two weeks. The Sports Illustrated magazine was first issued in August, 16, 1954, to cater sports enthusiast. 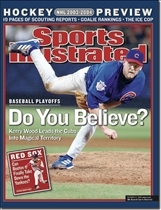 While ESPN magazine was first issued March, 11, 1998, and is not as old as Sports Illustrated. In addition, Sports Illustrated is far more popular than ESPN magazine since it has a much more established fan following since the 50's and 60's. Awards are a great way to gauge the popularity and overall content of a magazine and it tells a lot about how a magazine company can become a role model for other magazine companies. Sports Illustrated has won not once but twice the National Magazine Award for general excellence due to it's popularity. 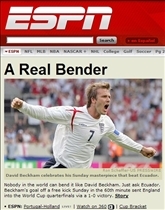 On the other hand, ESPN magazines have not won any awards so far. Having a website is crucial in this day and age, people no longer prefer to read a magazine, rather people prefer to go online and read updated stats, whenever they feel like. Online content can constantly be updated and people rely on the Internet to get new and fresh content on a daily basis. Both magazine companies have a website, however, Sports Illustrated's website seems to have a lot of content on their webpage and is arranged attractively. On the other hand, ESPN magazine's website seems to have a basic homepage, which has several links to content but does not have many thumbnails and pictures. Thus when it comes to website, design and attractiveness... Sports Illustrated has the upper hand. Men love sports, and men love reading up on sports stats, scores, and news. Therefore, sports magazines are an excellent way to catch up on everything related to sports. Both magazines are owned by huge companies and are highly competitive in the sports magazine market. Sports Illustrated is been around longer than ESPN magazine and therefore has a longer history behind it. Sports Illustrated has won two awards, while ESPN magazine has not won any awards so far yet. Sports Illustrated has a much better looking website than ESPN. www.si.com homepage really tends to grab your attention with rich content right on the landing page. Which one has better sports coverage? There are many fraud websites on the web and you need to find your way to avoid falling into their hands. You must take your time and make good efforts to reach a safe sports betting website. It is a very crucial matter since you just can’t join the first website you look into. It could be one of the fraud website to eat away your money for all you know. American Soccer vs. Football: How are they different? Abs vs. Six Pack: Which is better? Salsa vs. Tango: What's the difference? Baseball vs. Cricket: Which is better? Rock Climbing vs. Mountain Climbing: Attack the Mountain!